Senior Palestinian Arab official calls on Hamas to relinquish control of Gaza following recent violent protests. Mahmoud al-Zak, a member of the Palestinian National Council (PNC) and head of the National Action Committee in the Gaza Strip, on Tuesday called on Hamas to relinquish control of Gaza following the recent violent protests. "The only solution to the current situation in Gaza is Hamas' renunciation of power and allowing the Palestinian government to exercise its authority in the Gaza Strip," al-Zak said. In an interview with the official Palestinian Authority (PA) news agency Wafa, al-Zak said that the social protest in Gaza in the past week under the heading "We Want to Live" is a result of the harsh reality that Gaza residents face. "Hamas believed that the most appropriate solution to the cessation of [the protest] is through the violent suppression of the young people, but ultimately no one will succeed in silencing the voices of the young people," al-Zak declared. He added that the political elements support the protests and therefore Hamas must agree without delay to the demands of the young Palestinian Arabs. 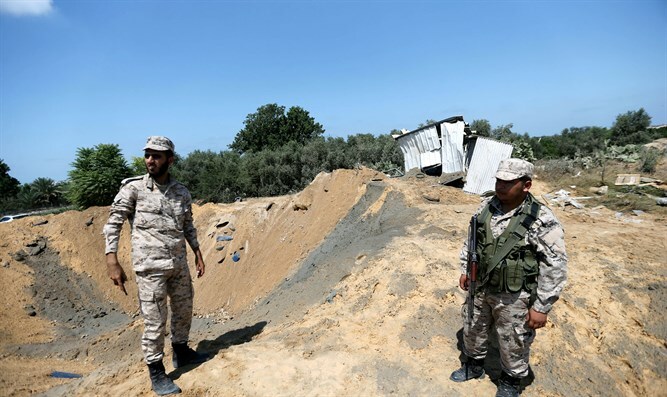 In recent days Hamas has been using force to suppress protests by Gazans over new taxes, unemployment and electricity shortages in the coastal enclave. Hamas has also arrested dozens of protesters and journalists. The United Nations condemned Hamas earlier this week over the use of force. “I strongly condemn the campaign of arrests and violence used by Hamas security forces against protesters, including women and children, in Gaza over the past three days,” said UN Middle East envoy Nickolay Mladenov. “I am particularly alarmed by the brutal beating of journalists and staff from the Independent Commission for Human Rights (ICHR) and the raiding of homes. The long suffering people of Gaza were protesting the dire economic situation and demanded an improvement in the quality of life in the Gaza Strip. It is their right to protest without fear of reprisal,” he added. Mladenov called for reconciliation between Hamas and Fatah, the ruling party of the Palestinian Authority led by Mahmoud Abbas, as well as the other factions. Hamas has been ruling Gaza since 2007, when it overtook the coastal enclave from Fatah, which is headed by PA chairman Mahmoud Abbas, in a bloody coup. Since then, the two groups have been embroiled in a bitter rivalry. The two organizations signed a reconciliation deal in October of 2017, under which the PA was to have resumed full control of Gaza by December of that year. That deadline, however, was initially put back by 10 days, had later reportedly hit “obstacles”, and has never been implemented.